Do you feel stuck in your writing life? Do weeks go by without you devoting any time to writing? Maybe there’s a half-finished manuscript for a novel in the bottom drawer of your filing cabinet; one that’s been there for over two years? What about those poems that are “somewhere” on your computer? If you took the time to find and edit them, you might have the makings of a chapbook. Would committing to writing just twenty minutes a day get you started on that memoir you’ve always wanted to write? If these scenarios resonate, it might be time for you to step back and take a look at the “big picture” of your life, and set some writing goals. But what is it about the term “goal setting” that makes creative types (like writers) cringe? Is it because the term sounds too corporate, too prescriptive, too restrictive? Goal setting is used extensively in organizational settings and often conjures up unpleasant visions of key performance indicators and performance reviews. 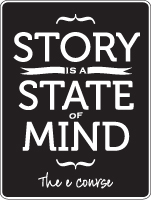 But it can be an invaluable tool to help you achieve your writing dreams. “Tell me what it is you plan to do with your one wild and precious life?” asks Mary Oliver in her poem “The Summer Day”. Let that question sink in, and let some of those deep desires that may have gotten buried begin to rise to the surface. Before setting any writing goals, spend some time getting in touch with those whispers. Here are some suggestions for getting started. You can begin to make your writing dreams a reality. to get away from distractions and look inward, schedule some time when you can be alone for at least a few hours. Turn off your cell phone. You may wish to start with a walk, letting go of any thoughts that may be racing through your mind. Just focus on your surroundings. Finish your walk in a park or other quiet outdoor setting, or a library in colder weather. Bring a pen, a notebook and coloured markers. Pull out your pen and notebook and spend at least 20 minutes writing freely about your “wild and precious life.” For this exercise, focus on your writing. You can repeat this writing exercise later for the other priority areas in your life. Where would you like to go with your writing if there were no restrictions such as family commitments or financial considerations? Dream big. “Write fast. Do not linger over the page. If you find yourself dismissing a goal because it sounds grandiose or far-fetched, write it anyway and put a star next to it. It’s a live one,” says Henriette Anne Klauser, author of Write it Down, Make It Happen. When you have finished, take a coloured marker and highlight all of the writing goals you see. Then number the goals in order of priority. If your major goal is a big one such as writing a novel, break it down into manageable chunks and run each sub-goal through the S.M.A.R.T. goal process. One sub-goal might relate to your commitment to write. A not-so-smart sub-goal would be: I’ll work frequently on my novel every chance I get. A S.M.A.R.T. sub-goal would be: I will write a minimum of x# of words a day on Monday, Wednesday and Friday mornings, from 5:30 a.m. to 7:00 a.m., and will have a minimum x# of words of first draft material ready by _____(date). Write down your S.M.A.R.T. writing goals and post them where you can see them every day. As a writer, you have a unique voice; a voice the world needs to hear. It would be a shame if your novel was never read by another soul, and no one was moved by your poetry, or touched by your memoir. What do you plan to do with your one wild and precious life? [i] Doran, G.T. (1981). There’s a S.M.A.R.T. way to write management’s goals and objectives. Management Review, Volume 70, Issue 11 (AMA FORUM), pp 35 – 36. [ii] Meyer, Paul J (2003). “What would you do if you knew you couldn’t fail? Creating S.M.A.R.T. Goals”. Attitude is Everything: If You Want to Succeed Above and Beyond. Meyer Resource Group, Incorporated.